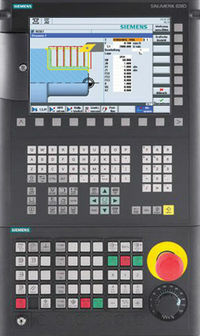 Alarm for SIEMENS compile cycles. This alarm appears when the option bit required for a SIEMENS compile cycle is not set. – Alarm reaction delay is cancelled. Set the required option bit or delete the .elf file from the Flash File System. Clear alarm with the RESET key in all channels. Restart part program.